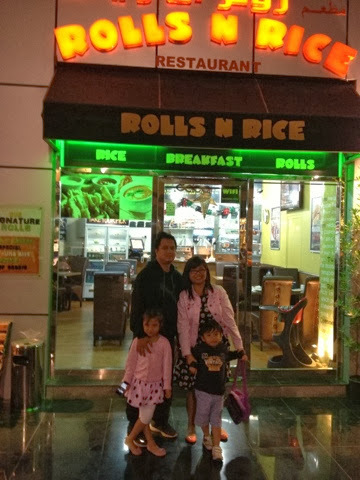 Hidden in the Al Nahyan area, Rolls N Rice is creating noise and slowly making a name for itself. 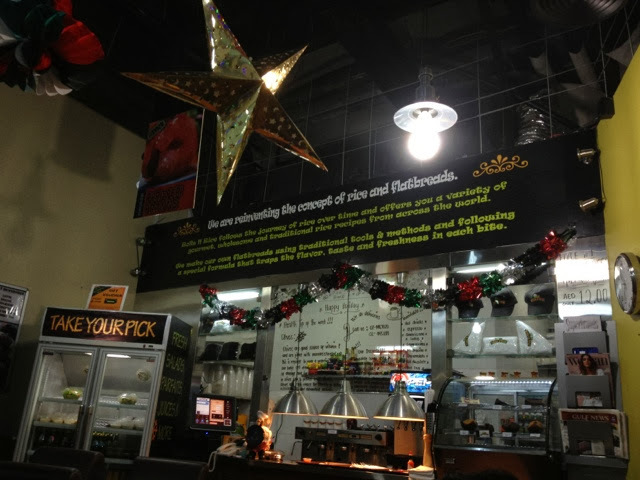 I have read good reviews for this resto, so we decided to give it a try. We were actually the only customers in the resto the night we went there and when a restaurant is empty it could only mean two things - bad food or sky high prices. However, we still gave it a shot and conquered our fears! 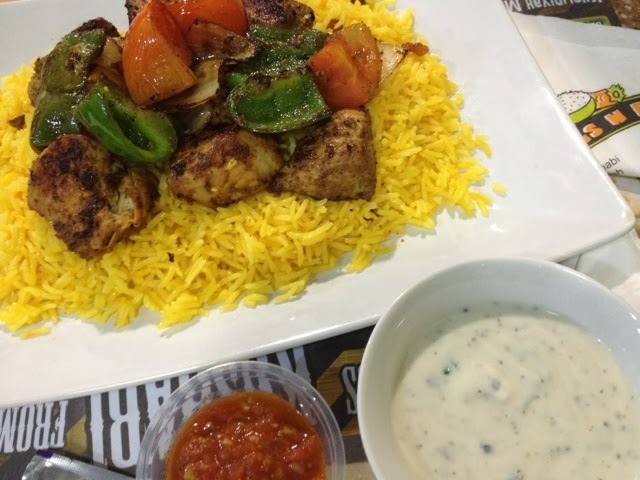 Looking at their menu, I've noticed that price-wise it is very affordable considering that Al Nahyan is a commercial area surrounded by numerous business establishments and offices. 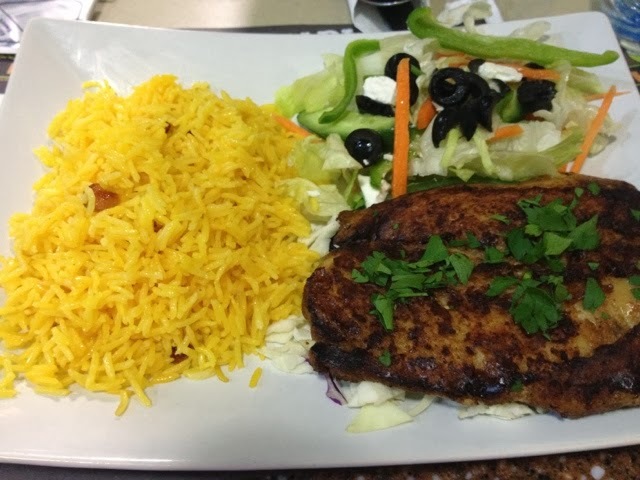 Most of the dishes they serve are Mediterranean. 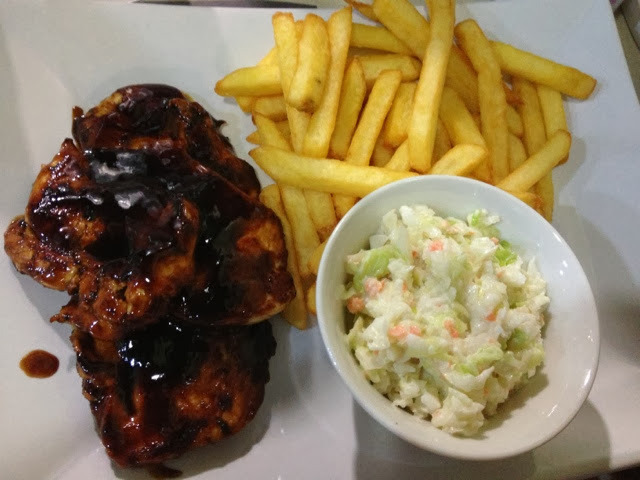 We ordered chicken barbecue for the kids and we made the right choice. My youngest does not usually eat chicken with any sauce in it, but this one he devoured till the last piece. The serving was also huge! My two kids were able to share in one order and they were both full and satisfied. 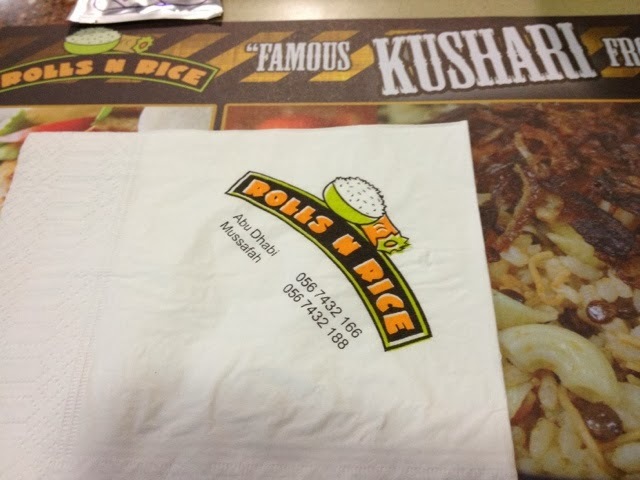 I had the spicy grilled chicken with safron rice and salad. When they say it's spicy - believe me, it was the true definition of the word! Flavor wise, I found it a bit too salty for me and I think it's very dry even with salad on the side, which was F-A-B by the way . One should have something else, say a soup as a side perhaps? My hubby ordered chelo kebab and it was divine! It was served with yogurt cucumber and chili paste. It was really tasty and very tender. In addition, we also received excellent service from the staff who were very corteous and helpful. I will definitely make sure to drop by this resto whenever I'm in the area.